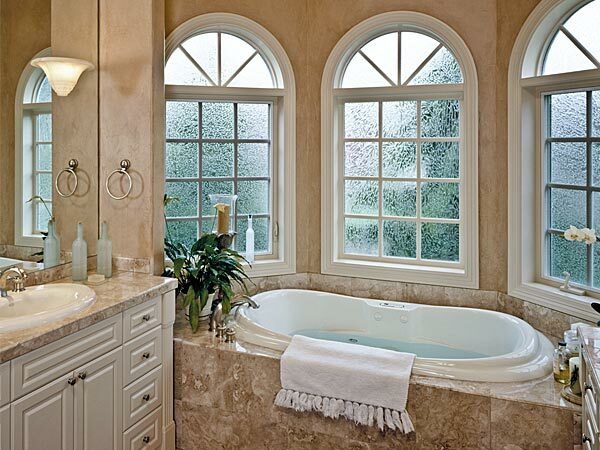 Fiberglass windows have a lot of positive qualities. Among many benefits is that they are low maintenance and easy to clean. Keep reading below to learn about other advantages of fiberglass windows, along with other important information you should consider before buying your next home windows. Fiberglass window frames are fantastic in terms of long term strength, durability and performance. Like aluminum, fiberglass frames are tough enough to handle very large expanses of glass, so you can take advantage of panoramic views and modern frame designs. Fiberglass windows also don’t conduct much energy, so going fiberglass solves the insulation and energy efficiency problems that sometimes go along with aluminum windows. Another energy efficient option is vinyl windows. Another benefit of fiberglass windows is its ability to resist fading and weathering. This leaves you with lower maintenance, such as when you need repainting your windows. Fiberglass behaves similar to normal glass in that it expands and contracts very consistently with your glass panes. This allows for precise installation that won’t warp or fluctuate with temperature change. Milgard provides a lifetime warranty on their windows. This gives you that extra peace of mind that you have picked the right window manufacturer. Click here to go to Milgard’s website to learn more about this reliable brand. On andersen windows you will get a 10 year warranty on the window, and a 20 year warranty on the glass. If you would like to learn more about Andersen windows, click here to go to their website. How Long Do Fiberglass Windows Last? There are many factors at play on the lifetime of fiberglass windows. Such as where you live, the type of fiberglass windows you purchase, and the window operation. With that being said, fiberglass windows have a long life if properly maintained and can last roughly 30 – 40 years or even longer. Aside from selling fiberglass replacement windows, Fusion Windows & Doors also installs windows. Our window installers are trained to make the process as easy as possible on you. Our team will respect your property and home. There’s a reason why we such a good reputation here in Los Angeles, and that’s because we know how to take care of our customers. If you would like to learn more about fiberglass windows and why they might be right for you, milgard has a blog article on the Top 4 Reasons to Choose Fiberglass Windows and Patio Doors. Also, don’t hesitate to contact our team of window experts. They will be able to answer your fiberglass window questions. Every designer loves the interior beauty of rich wood work. Most homeowners value durability and longevity in their exterior construction and finish. Milgard® WoodClad™ Series fiberglass wood windows satisfy both of these ideals bu featuring furniture grade Douglas Fir interiors and optimum fiberglass exteriors. These windows offer limitless customization options and precision performance. Andersen has created the A – Series that recreate the top American architectural design features available. Because it is Andersen, you can count on high quality and attention to detail. These designs are made from high grade premium materials, which when combined with high quality craftsmanship results in a product that is built to last. The A-series line is also designed for ease of use, time after time.